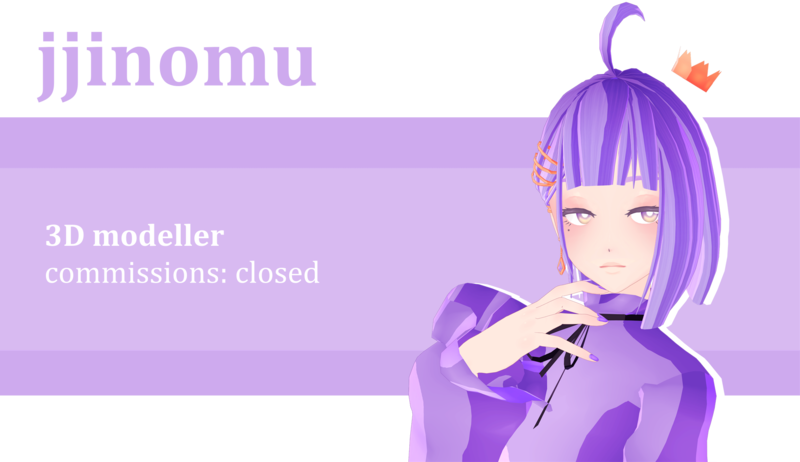 Jjinomu has started a donation pool! Hey, I know you're not much active here anymore, but I was wondering if I could take the dress from your DWC Miku? Idk if that's breaking your rules, since you've updated them,,,I've just been trying to find a similar dress for my model and I can't find one anywhere. If I can't, I'll use the most similar one I can find. Thanks! i am making a self model, can i use piko's head and hair together, since that hair is the only hair i can find that looks similar to mine- and i usually just use piko's face for my female models? Hi, i really love your models and i just want to ask, " Will you be making a Macne nana model some day?" Hello, my name is Wario94 and since I'm new to MMD, aware on the original TDA's MMD rule (For example no R-18 and no nudes I think) and I already download your own base (Which I tried to download it on my Android but it doesn't work for some reason), I would like to ask since I got your base, would I use it for the whole R-18 or I should stick with TDA's original guidelines? I was messing around with my MMD and found the folder i made for your models exclusively and remembered how much of a freaking goddess you are. So i came to tell you that you are a goddess that deserves the world.